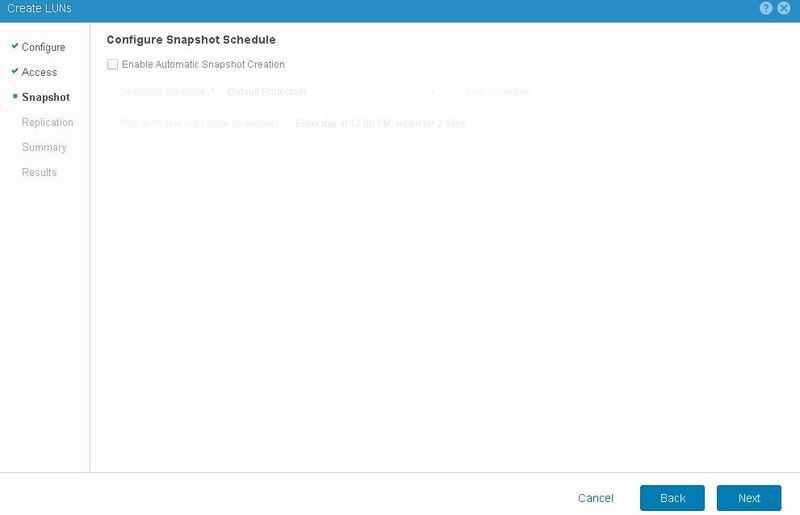 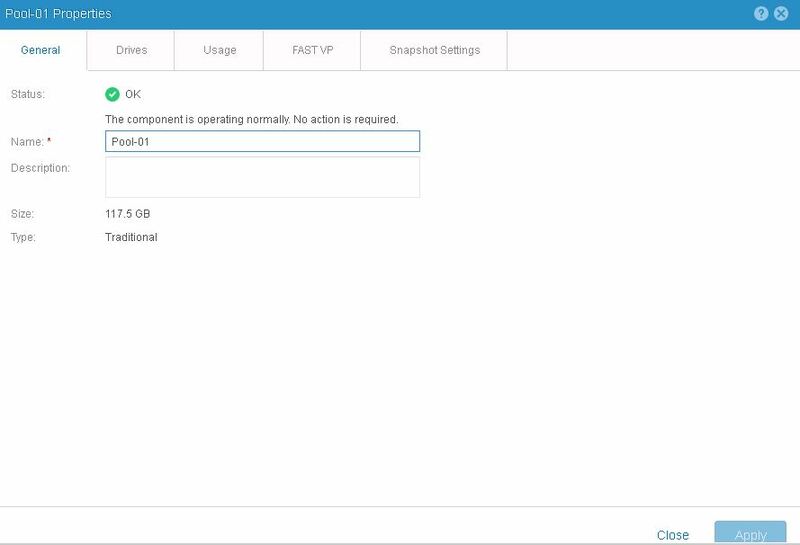 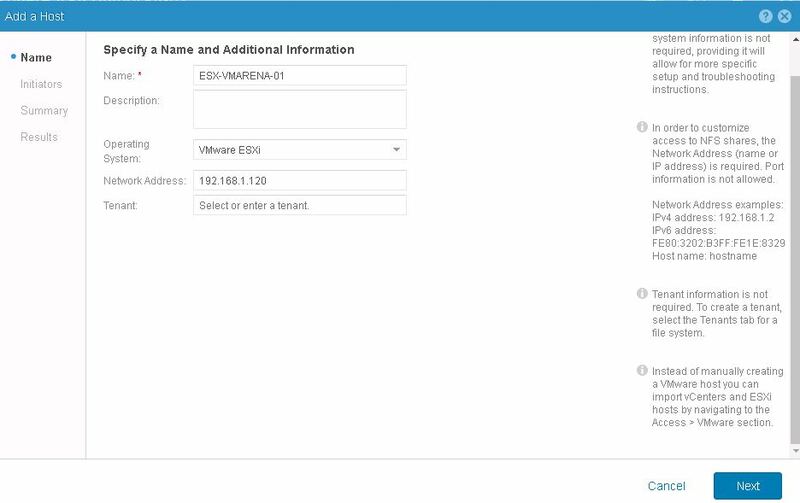 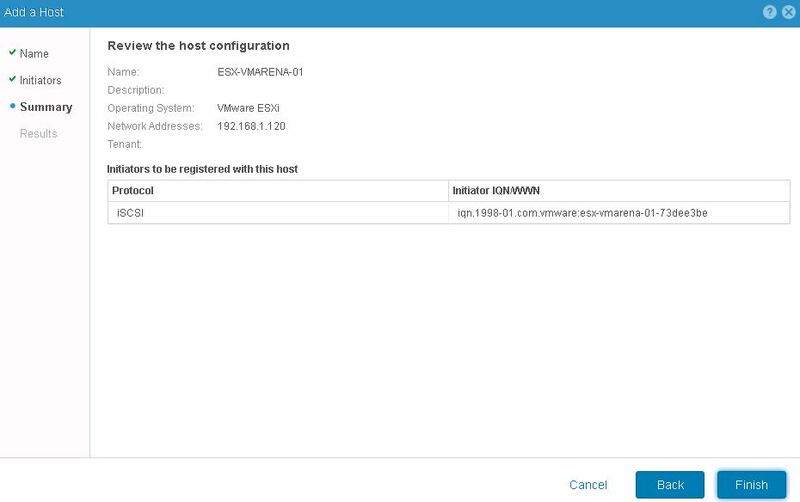 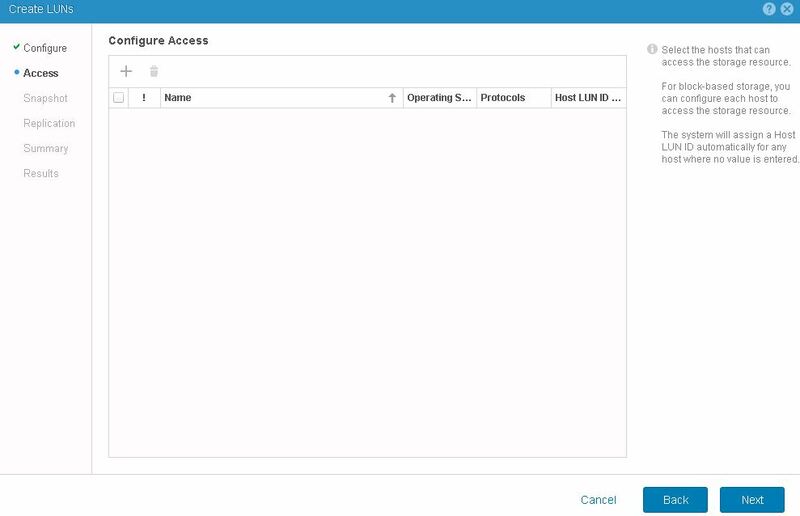 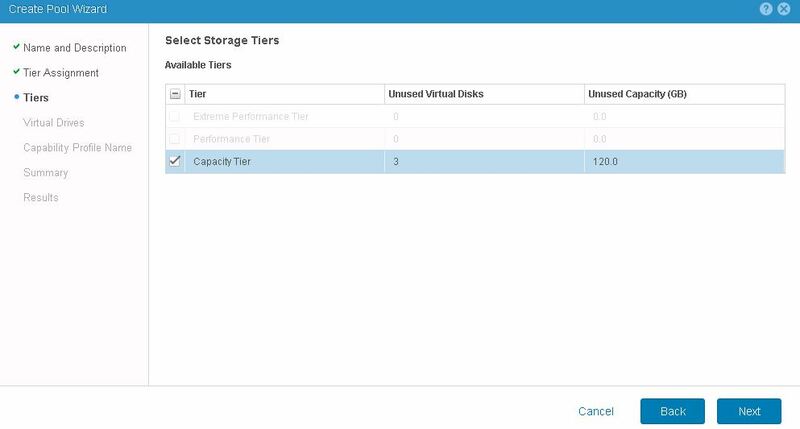 My previous post was Dell EMC UnityVSA Overview & Deployment and i shared the procedure with screen shot of deployment and initial configuration . In this post we will share the next configuration required to present storage after deployment .We will cover Storage Pool Creation ,iSCSI Interface Creation , LUN Creation and Configuring hosts and presenting Luns to hosts . 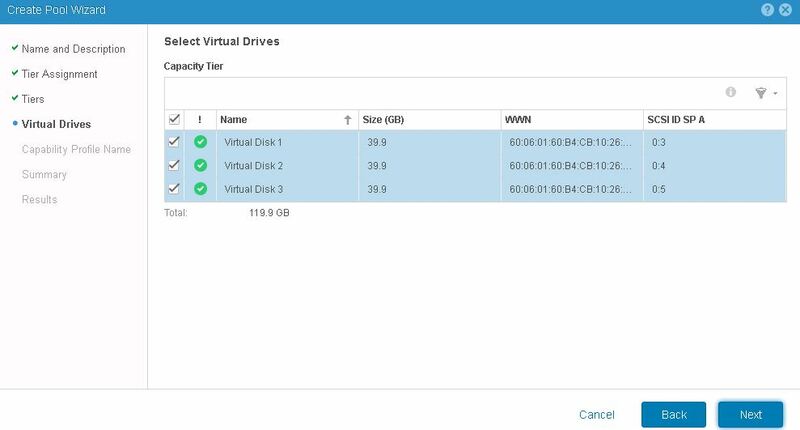 Here we have 40 GB x 3 Disk available .  Add the Tag to use for profile and click Next , if you have not created profile then this step not required . 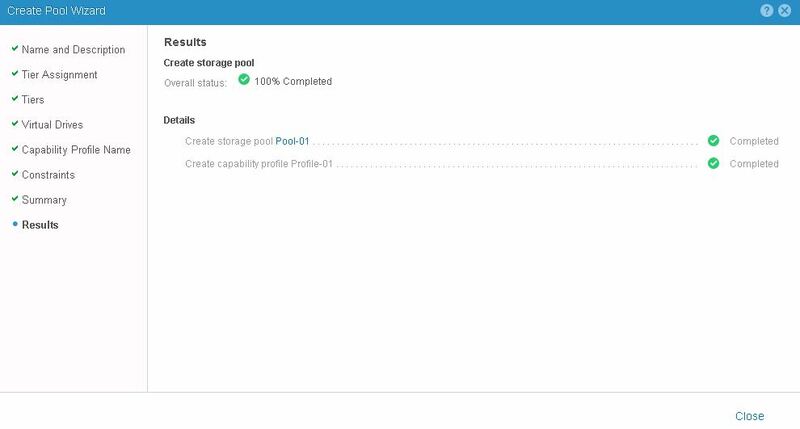 And you view the progress of creation of the pool over there and once you completed you can view status as completed . 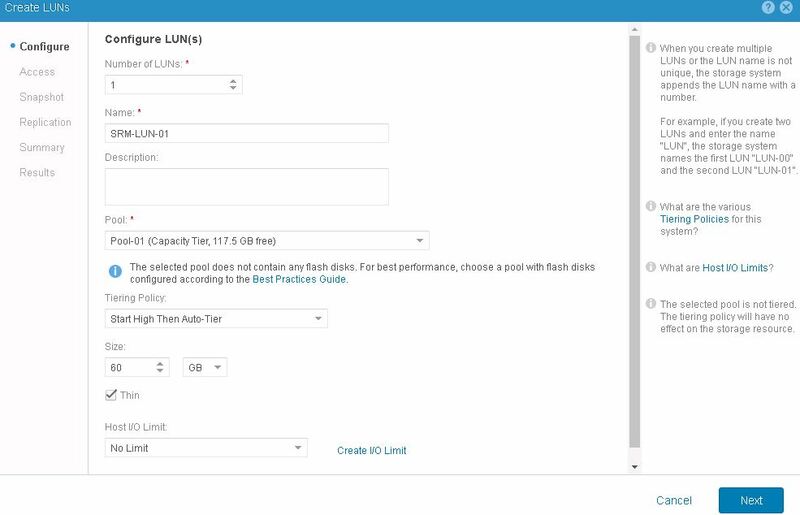 Navigate the Pools option and you can see the created Pool with details. 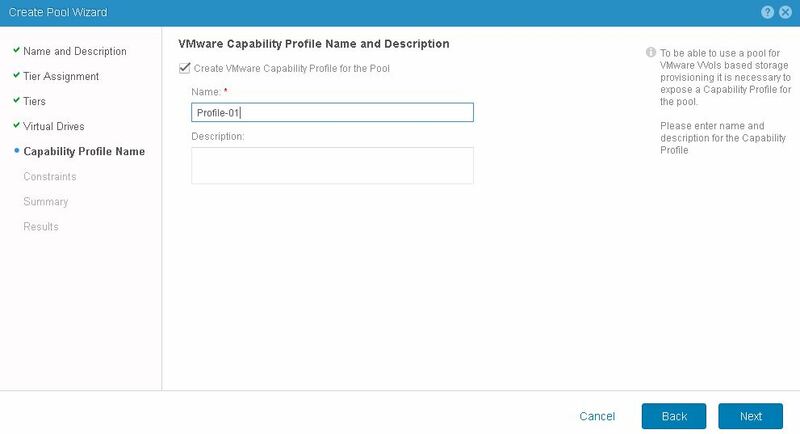 You can Select the Pool and use the pencil Button to Edit the properties of the Poll you have created . 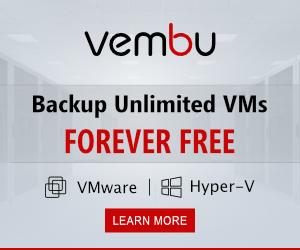 iSCSI interfaces are used for providing network connectivity to access the Unity VSA Luns . 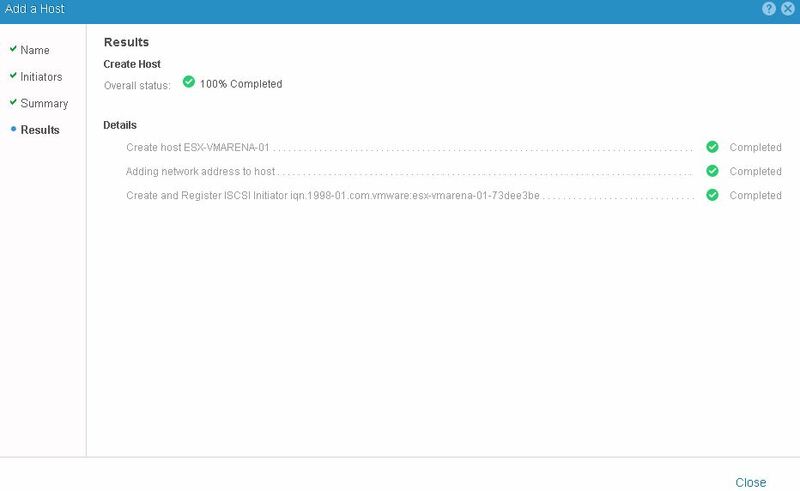 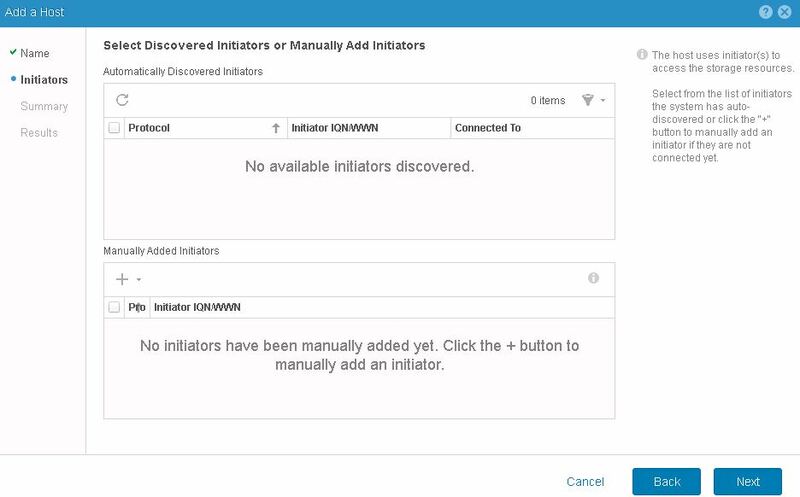 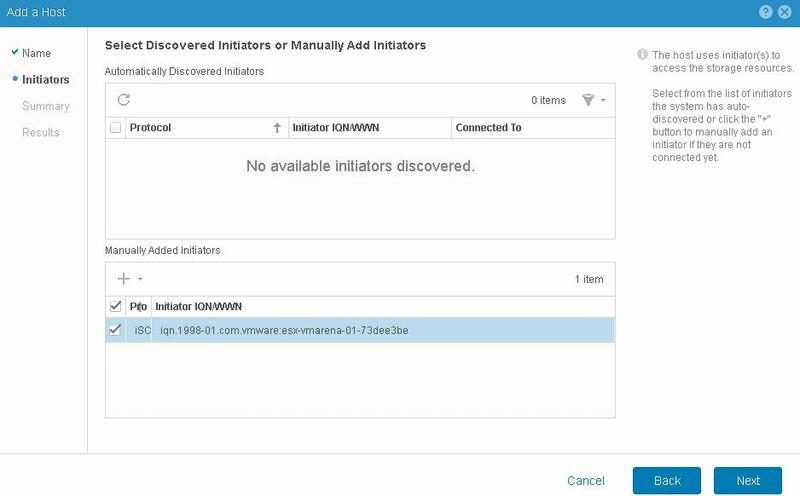 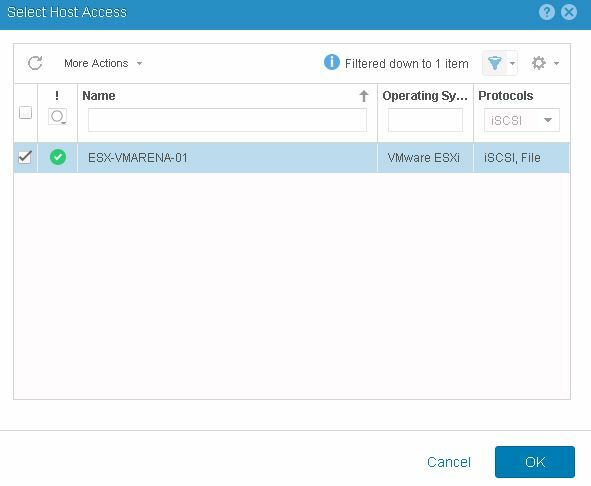 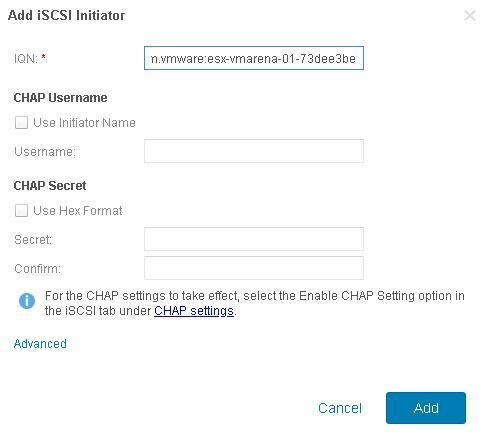 Once Completed you can see the created iSCSI Interfaces and there will be IQN for this interface which you have configure on the ESXi hots iSCSI adapter . 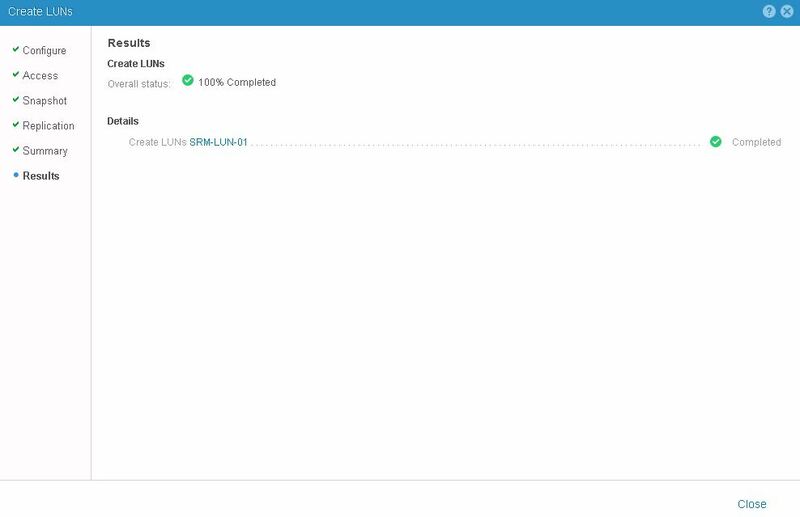 You can view the progress on screen and once completed , you can map the LUNs . 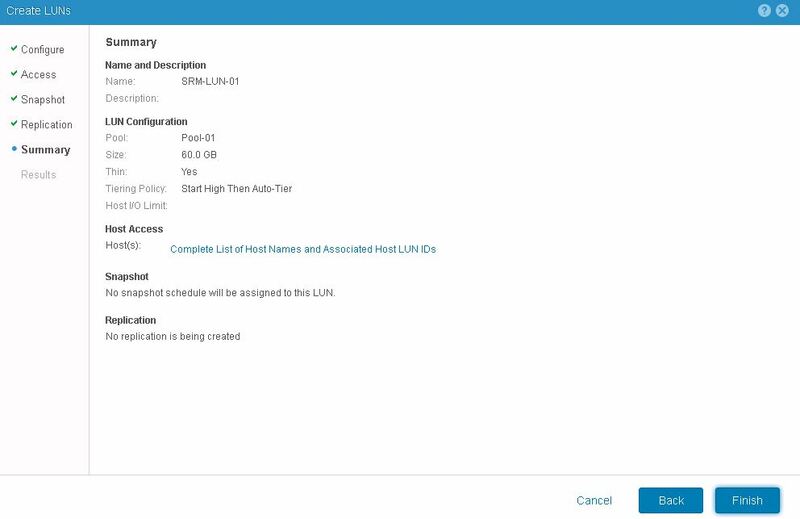 Navigate to the Block -> LUNs and you can see the created LUN . 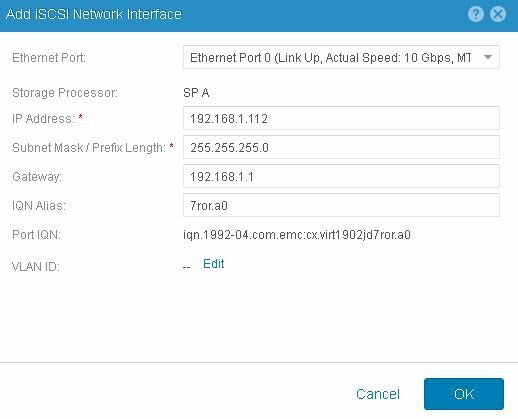 Now Can go to the ESXi host , add the ISCSI interface IQN and IP address on the iSCSI server details . 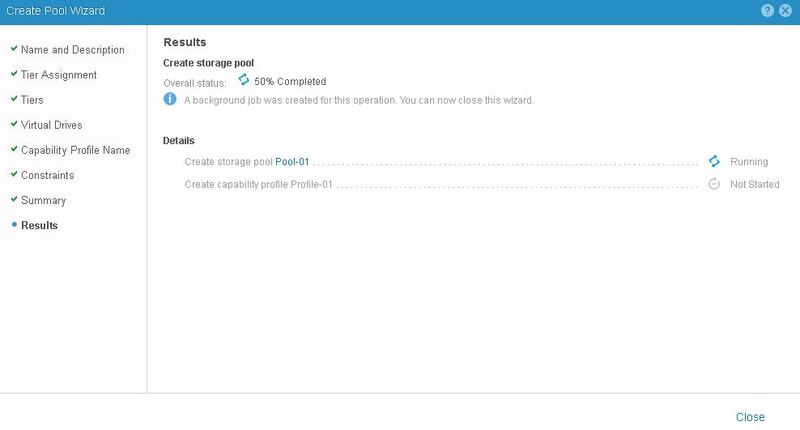 Once added rescan your storage adapter add the LUN .